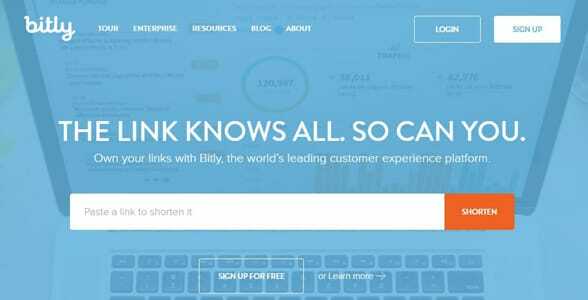 The Short Version: Founded in 2008, Bitly is a company built around the all-powerful link. They shorten, measure, and optimize links on multiple channels to drive up audience engagement for top brands. If you’re looking to share your dating expertise or your dating websites with singles across the web, Bitly Enterprise can help you create a strategy based on audience intel and hard data. The platform’s reliable tracking tools can tell you where your customers are as well as how to bring them to your services via branded domains. Through their analytics, Bitly empowers you to expand your brand online by learning skills that range from when to post to how to link. Dating websites and matchmakers can’t just rely on word of mouth to grow their businesses — they have to get out there and market their services to daters. Suppose a dating coach embarks on an aggressive Twitter campaign, linking to his site on a regular basis and using as many hashtags as he can fit in 140 characters. He also starts a blog where he links to his coaching in the content. After a couple months, he sees an uptick in clients coming to him, but he can’t pinpoint which posts, Tweets, or links worked best, so he doesn’t know how to grow that traffic and improve his efforts. To run an efficient online campaign, you need to know where your audience is and how they’re interacting with your online presence. Founded in 2008, Bitly excels at measuring, comparing, and assessing links so businesses can target their online marketing campaigns and direct their own customer experience. Every month, the platform shortens and optimizes over 800 million links that receive more than 10 billion clicks altogether. Bitly tracks overall link performance so clients have a comprehensive view of audience engagement. Bitly offers brands a comprehensive view of their influence in the digital world, helping them control and encourage online activity. Through branded links, mobile deep linking, omnichannel campaign tracking, and audience intelligence, Bitly sums up link performance and fosters greater engagement for companies of all sizes. As a company, Bitly is all about optimization: mapping out a pathway to create better content with better links to better fit your audience. For dating brands, that means understanding where singles are on the Internet and how they navigate the web. “The link knows all, and so can you,” according to the site. By understanding your own links, you can more efficiently market your services over the web and attract attention to your website. Bitly has been around the web a long time and adds authority to your marketing efforts with their optimized Branded Bitlinks. These custom links help clients further control their brand. Trusted by brands like BuzzFeed and eBay, Bitly Enterprise offers branded short links as well as expanded analytics for clients looking to market themselves. You can demo this edition for free to see if it’s for you. Managing your account is simple in their straightforward interface, and you’ll have a dedicated customer success manager helping you every step of the way. In the dashboard, Bitly’s link analytics clearly display the performance of all your links, including how many total clicks and what time of day sees the best audience engagement, so you get a full view of the traffic coming to your site. Clients use Bitly to figure out ideal publishing times, operating systems, and social channels. With Brand Manager, Bitly clients can see individual metrics for different brands. The filtering system is quick and easy so you can switch between franchises, departments, or even clients. If you’re managing a matchmaking and a dating coach firm, you might find this a useful way to keep tabs on the progress of both marketing campaigns. Through OneView, Bitly collects information on all your branded Bitlinks and summarizes it in colorful visuals. Clients can turn to this customized platform to see how social channels and email campaigns are working. In a streamlined and organized space, Bitly shows clients the number of views, downloads, and web visits from multiple channels. 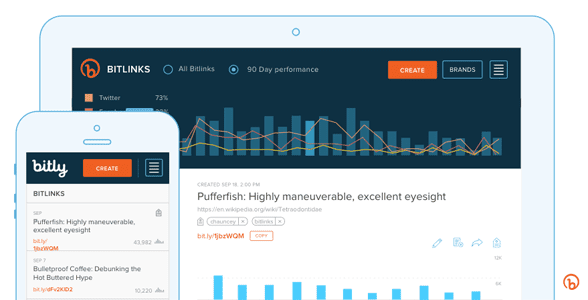 If you want to track the performance of your online content, Bitly offers a comprehensive tool to compare your marketing tactics. OneView provides a multi-channel experience to businesses, giving them a holistic perspective on overall customer engagement. Across multiple channels and for multiple branded links, clients can track online traffic with ease on Bitly. Bitly personalizes their data so marketers can target their particular audience using an informed linking strategy. The platform’s Audience Intel feature shows clients exactly where customers are coming from online. Dating brands can increase the effectiveness and relevance of their links with Bitly’s data guiding their campaigns. When you see how your links are doing, these trends often indicate ways that your business could grow a bigger audience. Over the years, Bitly’s expertise has attracted many big-name clients who want help with driving people to their website or measuring online engagement. Through Bitlinks, clients can monitor traction from anyone on the web. As an example of the team’s success, Laura Napoli, the Head of Communications at Bitly, explained that Kickstarter uses Bitlinks to track clicks and measure user interest in their projects. Bitly gives you the tools to shorten, optimize, and understand your links. From an advertising perspective, Bitlinks provide monetizable support and insight. If you know where your audience is and what draws their attention, you can better place ads both on and off your site. Bitly’s website also offers extensive customer resources in the form of webinars, ebooks, infographics, case studies, and blogs to explain how Bitly’s various services can be used. Occasionally, they sprinkle in some just-for-fun content like a Bitly breakdown of LeBron James’ 2014 announcement that he was returning to the Cleveland Cavaliers. Knowledge gives people the power to act effectively and productively toward whatever goal they care to set. In the case of links, the more you know, the better you can leave these breadcrumbs across the web to tempt new customers. Bitly has the analytics tools and branded links to streamline any online marketing campaign. Now dating coaches and other industry leaders can tell what content is working and what links need improvement, so conducting a marketing campaign requires much less guesswork. If you’re looking to quantify the online traffic garnered from your links, your content, or your site, Bitly Campaigns puts all relevant information in an easy-to-understand format. Dating brands can optimize links across devices and channels in no time by taking advantage of the Bitly team’s in-depth web experience.